Definition at line 39 of file lltransfertargetfile.h. Definition at line 42 of file lltransfertargetfile.h. Definition at line 44 of file lltransfertargetfile.h. Definition at line 43 of file lltransfertargetfile.h. Definition at line 46 of file lltransfertargetfile.h. Definition at line 49 of file lltransfertargetfile.h. 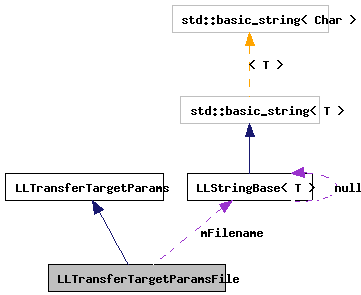 Referenced by LLTransferTargetFile::completionCallback(), and setCallback(). Definition at line 48 of file lltransfertargetfile.h. Referenced by LLTransferTargetFile::completionCallback(), LLTransferTargetFile::dataCallback(), and setFilename(). Definition at line 50 of file lltransfertargetfile.h.